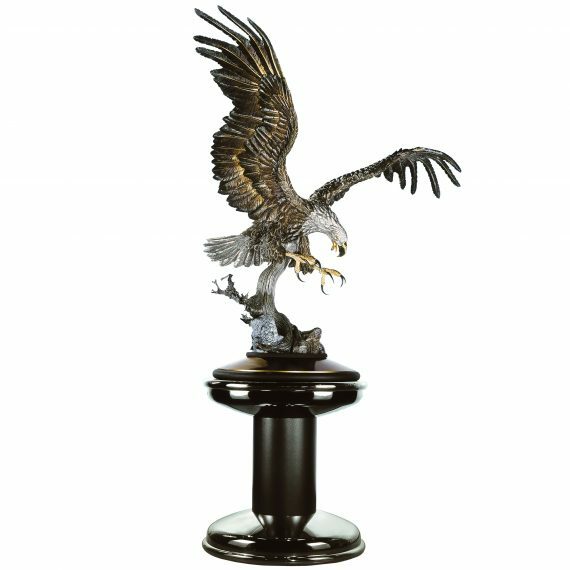 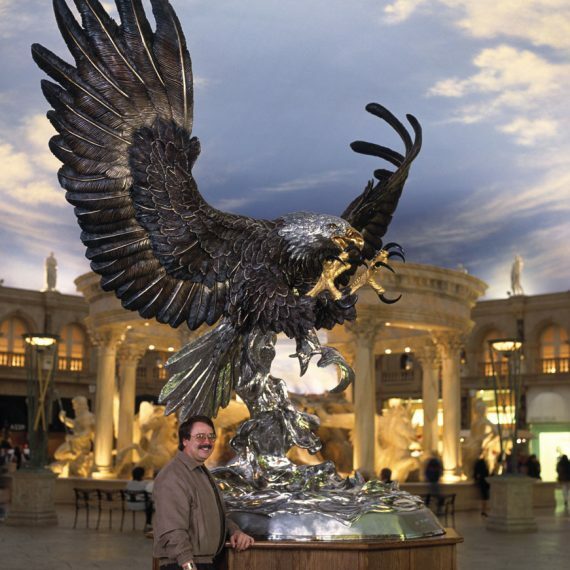 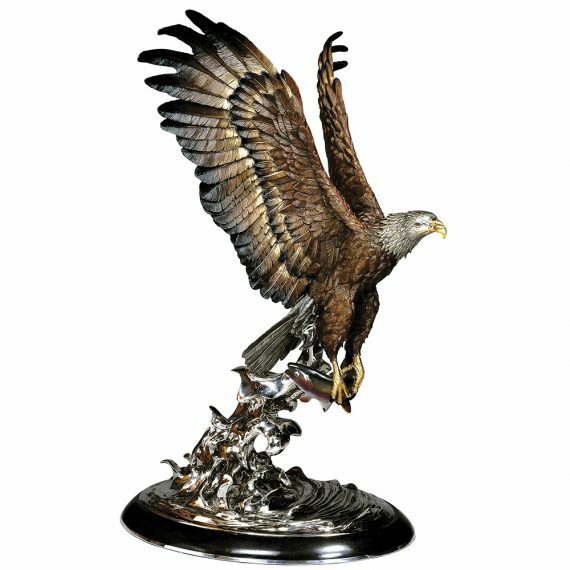 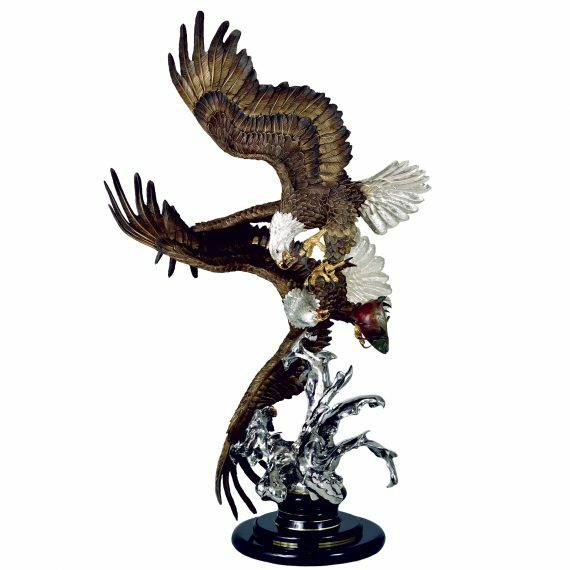 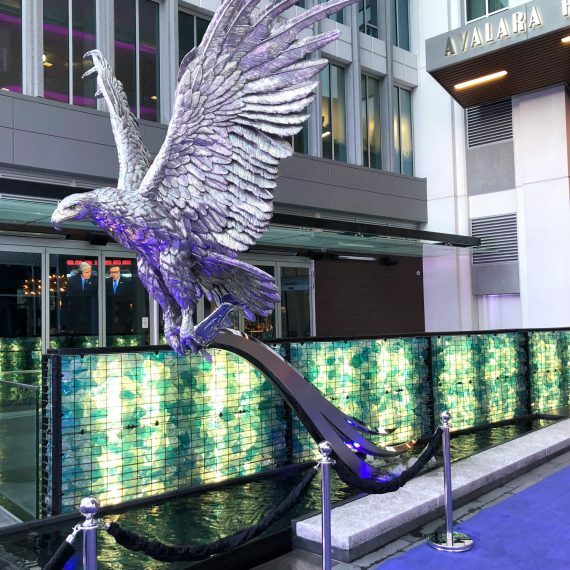 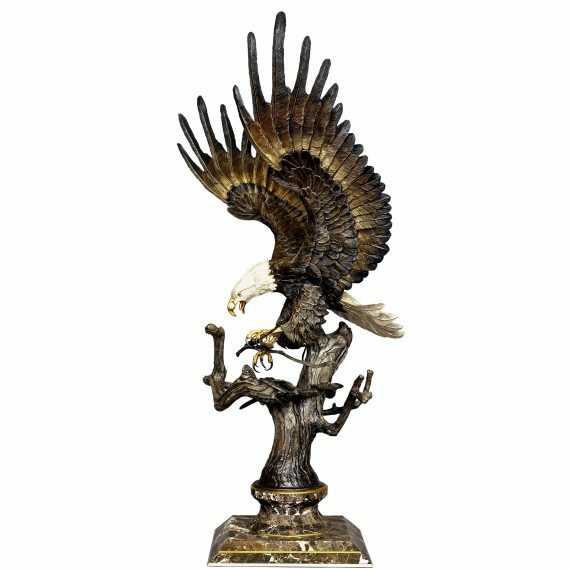 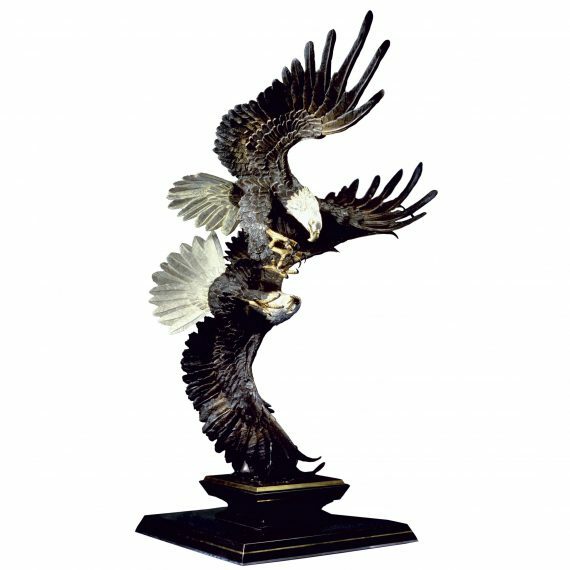 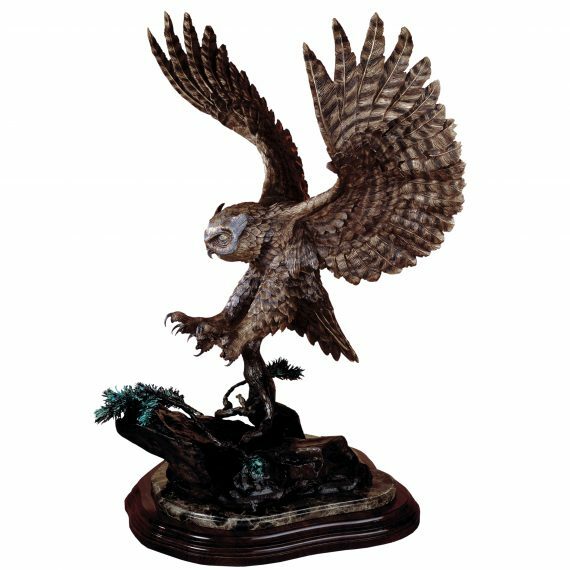 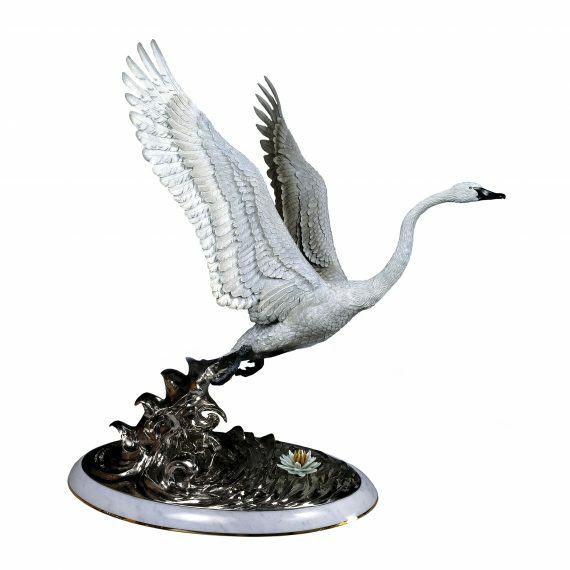 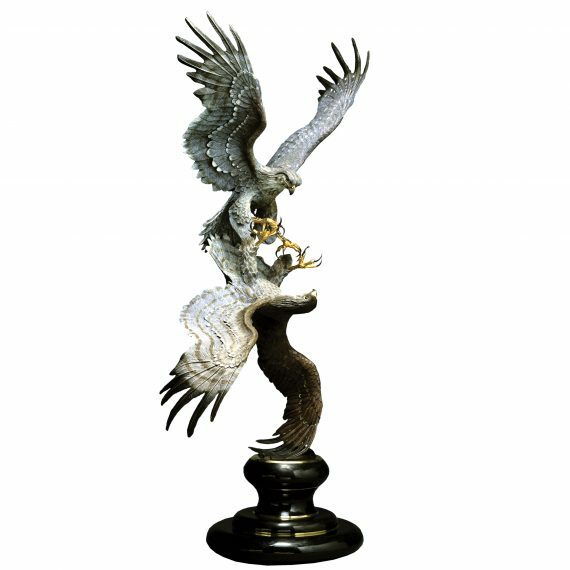 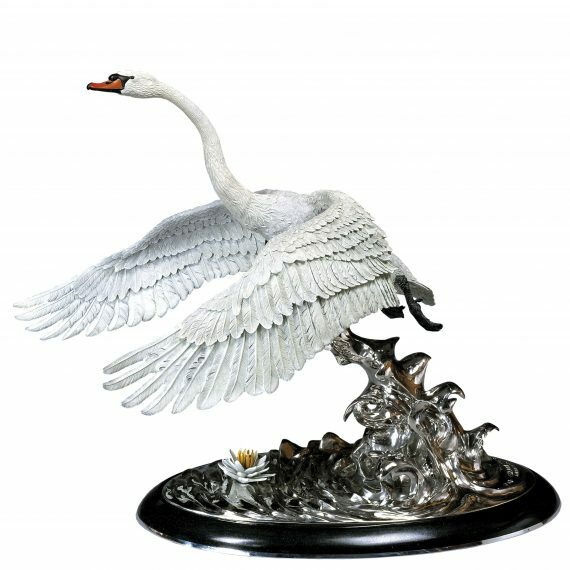 Chester Fields has mastered the design and creation of bronze eagle sculptures. 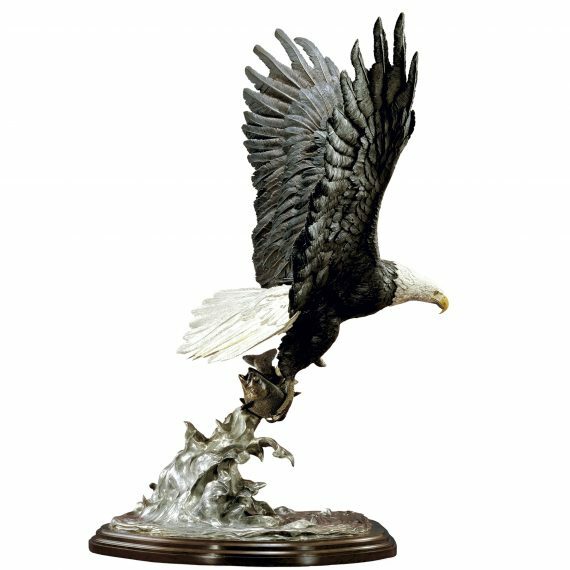 Graceful, powerful, and majestic, the eagle is among the most revered of all creatures. 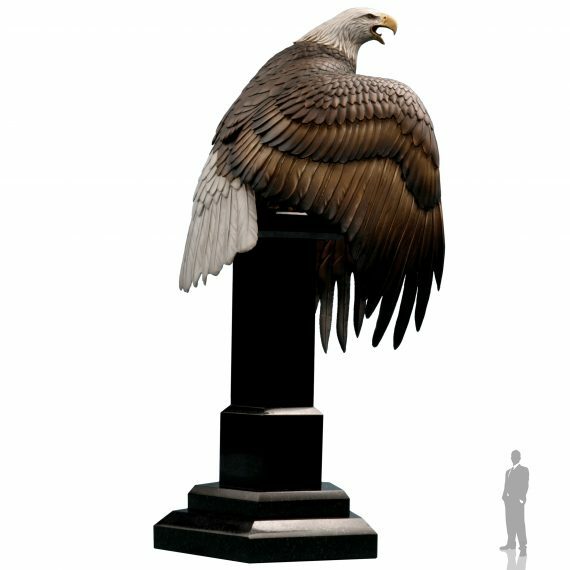 Far more ancient than the age of man, the eagle race dates back twenty-five million years somewhere along the Asian coast of the south Pacific. 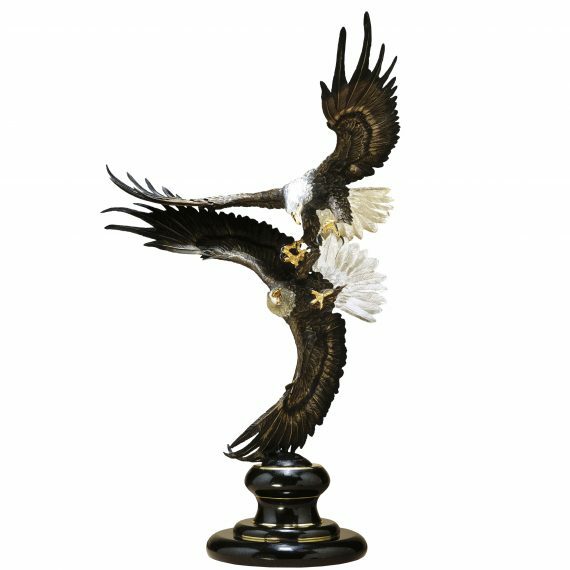 Inhabiting practically every part of the world, the eagle is borderless in its appeal and puts man’s own existence into perspective. 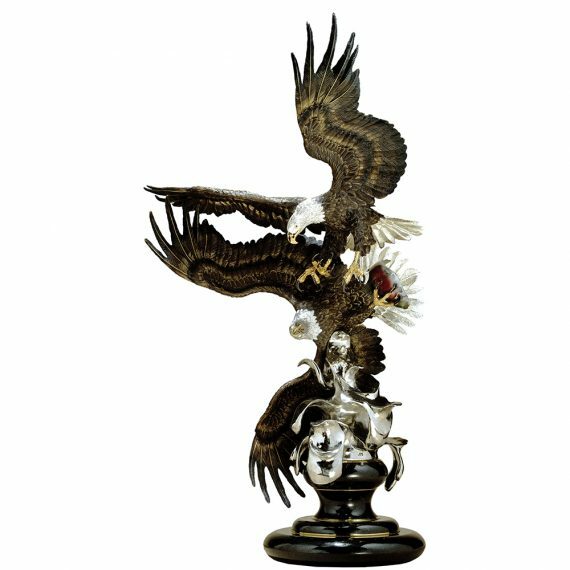 Through the centuries, eagles have been companions of kings and gods and the symbol of nations. 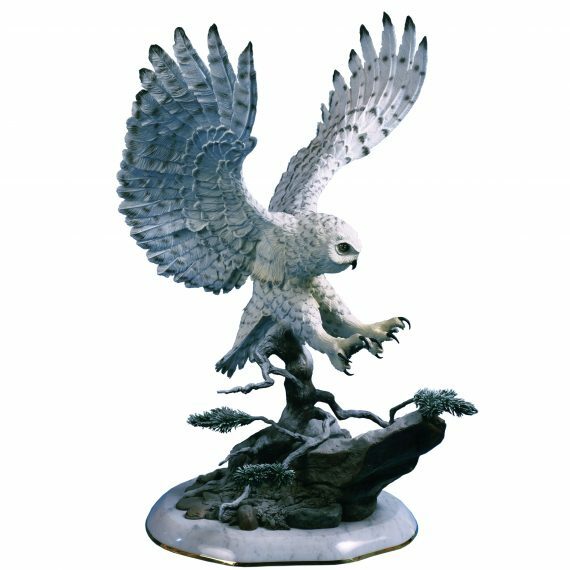 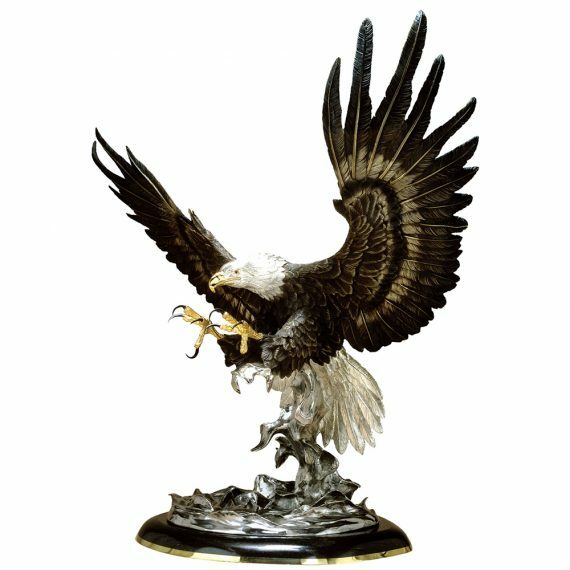 Worshiped as manifestations of deities, respect for eagles goes beyond their physical strength, speed, and agility. 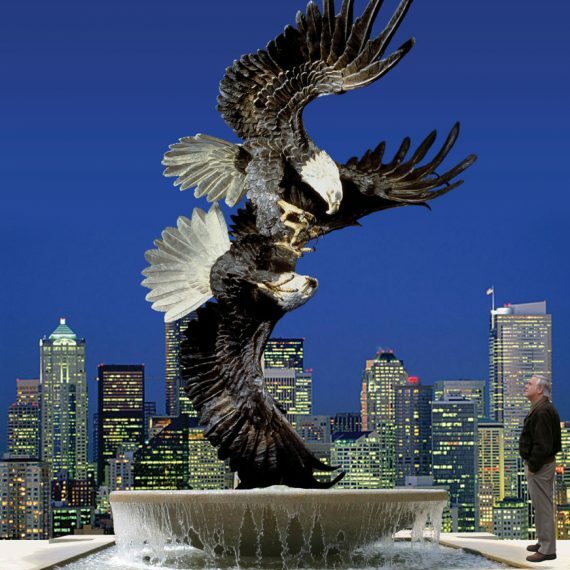 Sacred bird of Zeus to the Greeks, the bird of Jove to the Romans, bearers of Caesars’ souls to the heavens—from ancient dynasties of Persia, Egypt, and China to Belshazzar of Babylon to the Russian czars and Austrian emperors—the single or double eagle has long signified might and unity and an emblem of courage and triumph and has adorned many banners of their historic lands. 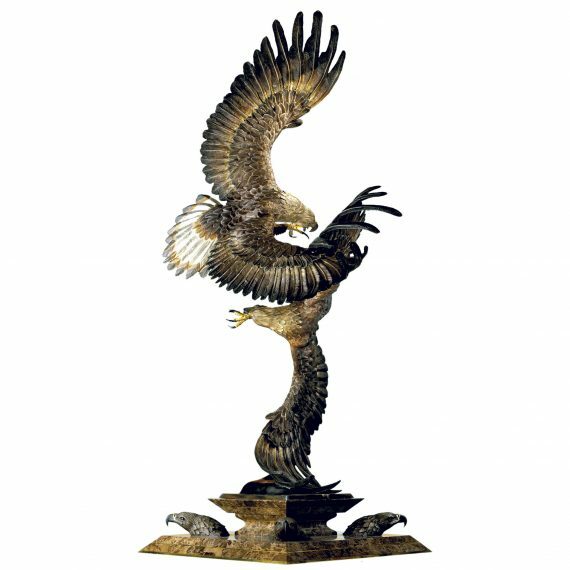 A symbol used extensively during the Middle Ages, the eagle was equated with power, courage, freedom, and immortality and regularly appeared on shields, seals, and coats of arms. 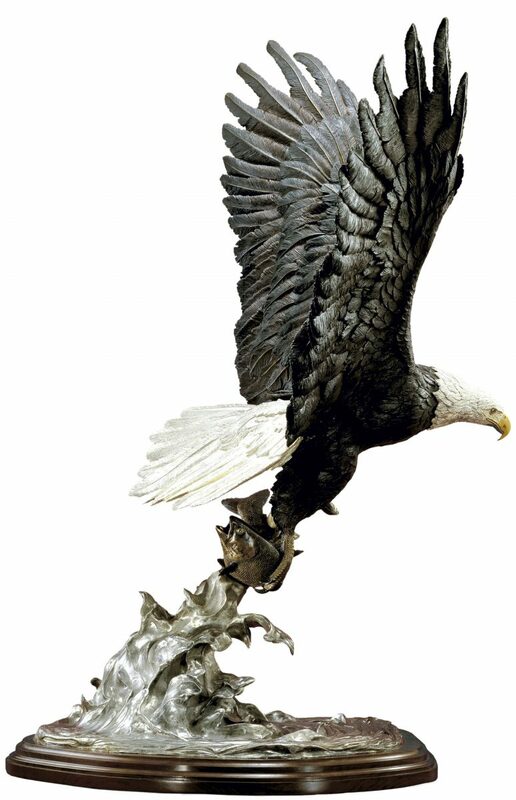 The Prussian eagle marked Teutonic knights and Crusaders, and Napoleon in France, and the German Republic where the black Imperial eagle remained its emblem until 1933. 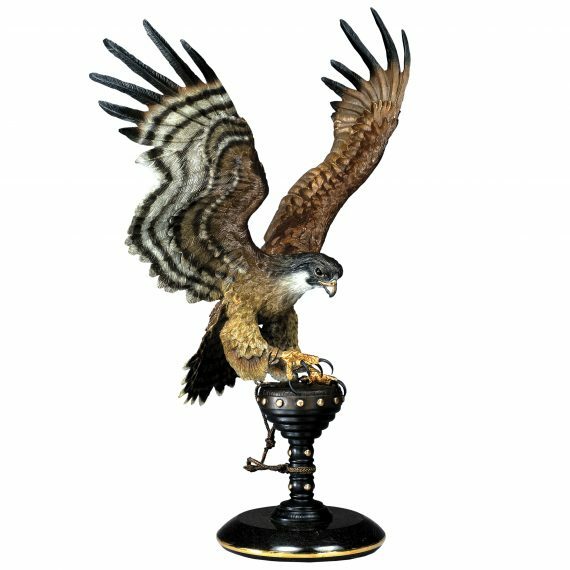 Also a symbol and emblem of the elite Knights of the Eagle, the bird’s presence dwelled with the Aztecs and remained with the Mexica Indians. 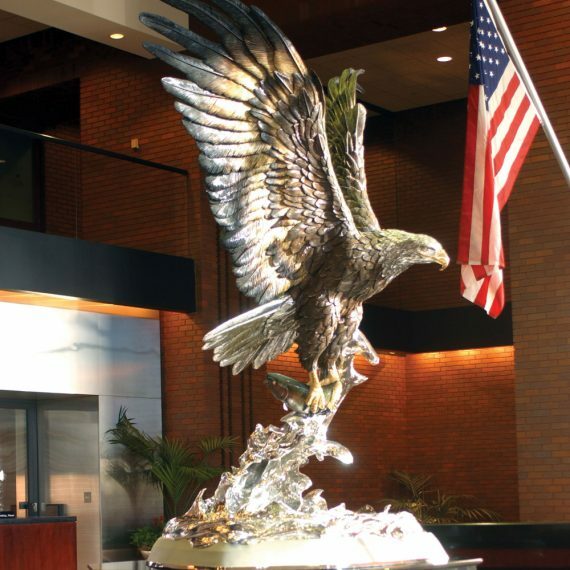 Today the eagle serves as a symbol of modern countries as various as Poland, Mexico, and the United States. 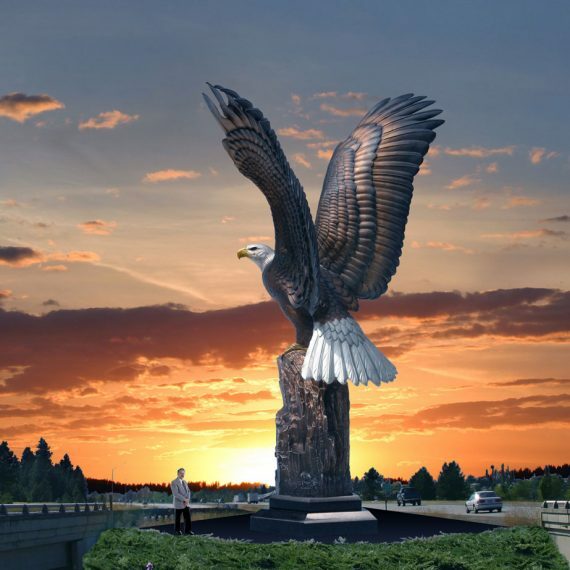 The great Bald Eagle, found only in North America, adorns the United States as its national bird. 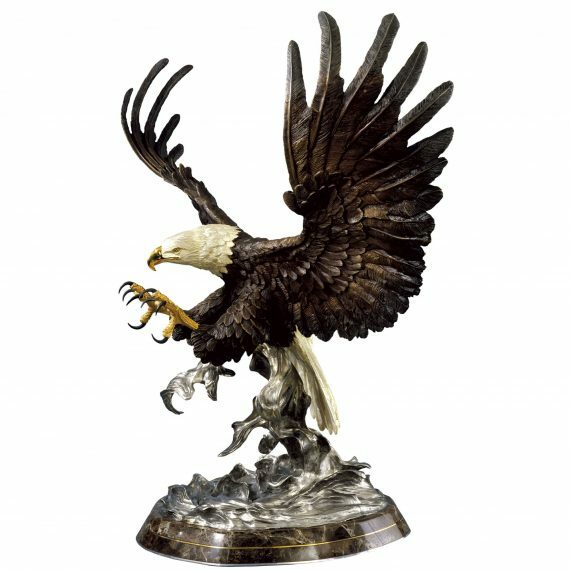 The triumphant bird was placed on the Great Seal of the United States on June 20, 1782 and in its honor Congress proclaimed 1982 the Bicentennial of the Bald Eagle, and June 20, National Bald Eagle Day. 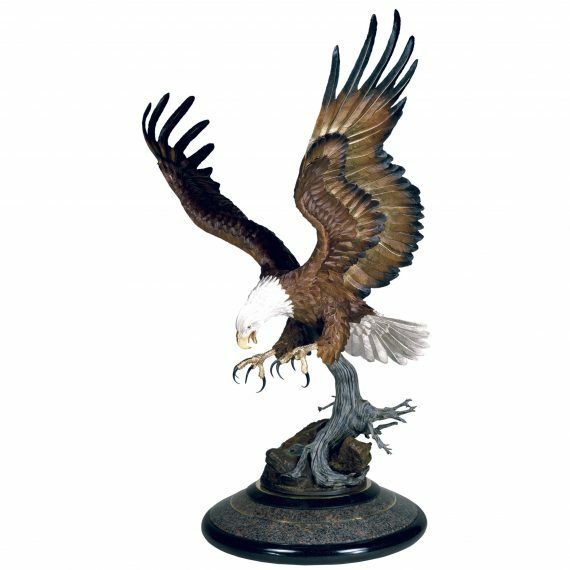 Holding a central place in spiritual traditions of Native North Americans, eagles are celebrated as creatures of vision, power, and grace. 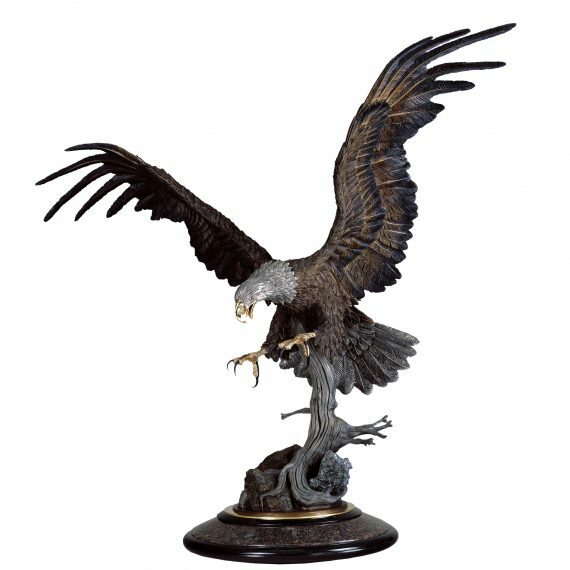 Clearly, eagles have an impact on the human imagination, which crosses cultures and time. 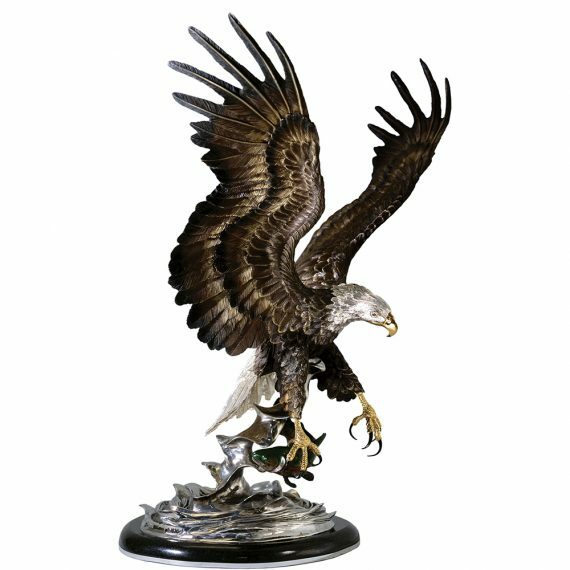 Magnificently soaring above humanity, the Eagle is a universal symbol of freedom and pride. 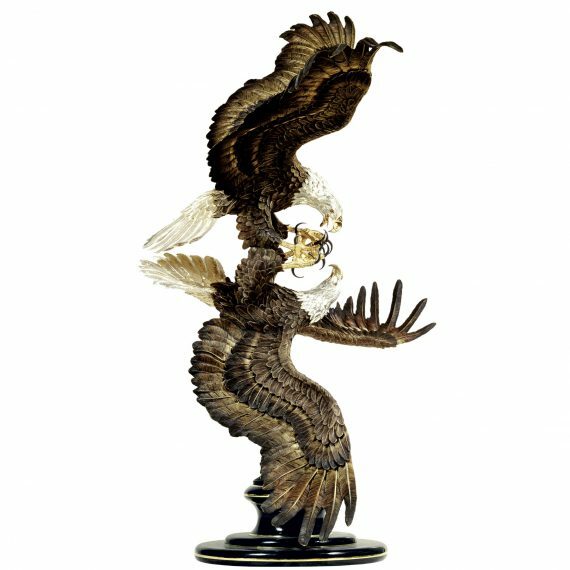 Expanding its wings and floating among the heavens, this master of the sky explores a vantage point man alone cannot attain. 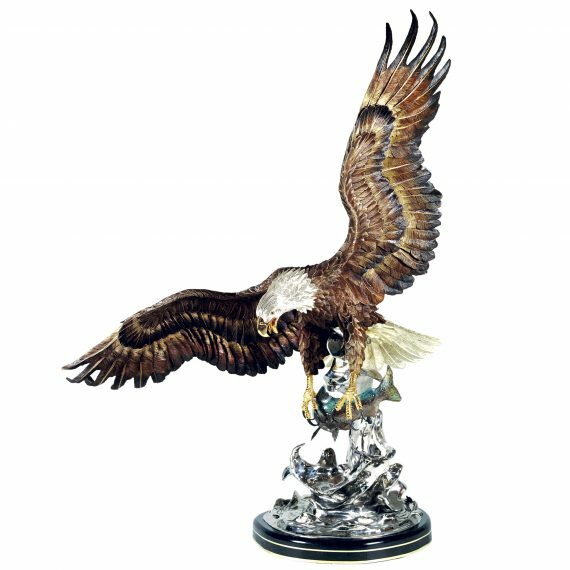 The eagle unites Heaven and Earth as a spiritual messenger and regally rests on mountaintops with an eagle-eye view of mankind. 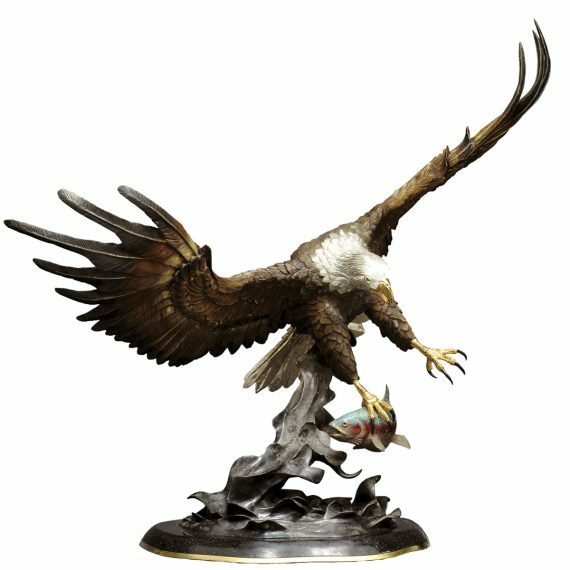 When two take courtship in a death-defying spiral through the air or an independent engages in a precise catch, thunderously dividing the sky to conquer his prey, the eagle’s effortless mastery of the air can only aspire awe from below. 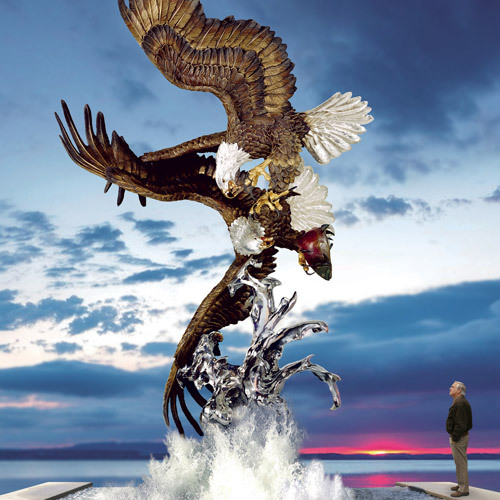 To respect and protect the sacred eagle is an effort, which represents vital steps to defend our own environment and existence.